Minix has produced quite a number of TV boxes, and they are putting a new 64-bit box up for presale. 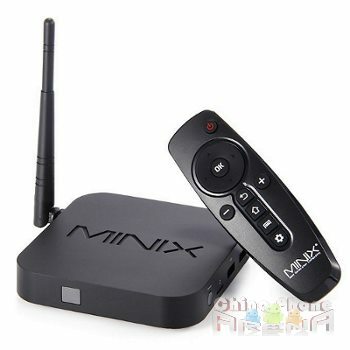 The Minix Neo Z64 is a mini PC that can be configured to a TV or monitor for media streaming, capable of up to 1080p video playback. It will be equipped with an Intel Quad Core Atom Z3735f processor clocked at 1.83GHz with 64-bit architecture. It will feature an Intel HD Graphics Processor and can be purchased with either an Android OS or Windows 8.1 with Bing. The Z64 utilizes a 32GB eMMC secure data storage memory chip and is packed with 2GB of RAM. Windows 8.1 with Bing is just another version of Windows 8.1, but it is provided to system manufacturers with $0 licensing fees. This enables OEM manufacturers to sell their products at lower prices, but it also means that the products must be shipped with Bing as the default search engine. The Minix Neo Z64A or Android 4.4 version is on presale for around $145 while the Windows version, Z64W is up for grabs at $175.